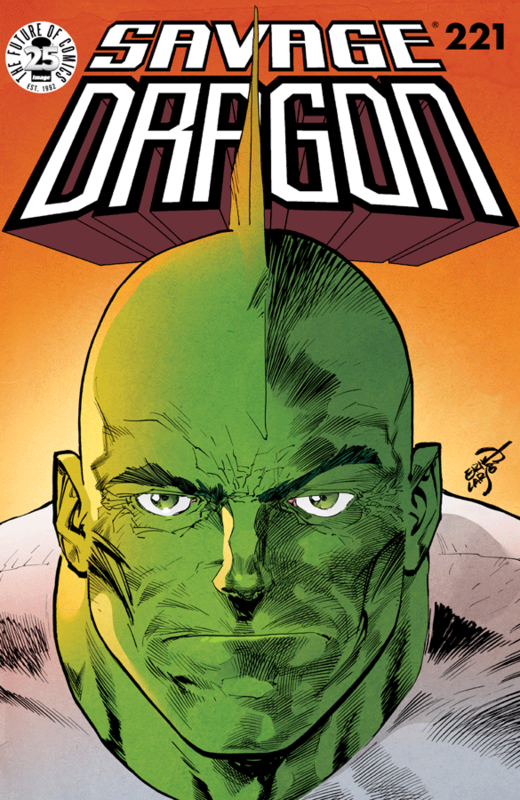 Savage Dragon typically has a lot of moving pieces every issue. This issue felt like it had just a little too much going on for it. Now that Dragon has been freed from prison, he starts sliding back into his life, first by helping babysit his grandchildren. Things don’t go very smoothly with the unruly children, especially when a villain comes crashing in, forcing Dragon to rely on his skills over his diminished strength. He also finds time for a reunion that gets interrupted by the second story of the issue, Angel finding her mother with Mr. Glum’s help. Reunited, the two still have to find a way to leave Dimension X which is easier said than done. Both competing stories weave in and out from each other every few pages with no order. It makes it feel more bogged down then it really is in the end, especially since both stories are important. It certainly was nice seeing Dragon back in action for a little bit, its just the transistions felt more jarring than normal.